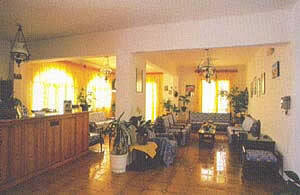 A small cozy hotel in Parikia, approx. 200 metres from the port. 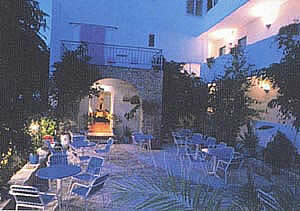 With airconditioning, breakfast lounge and terrace outside, balconies for every room. 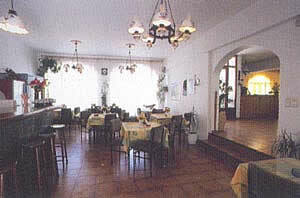 There are rooms for 1 to 4 persons. 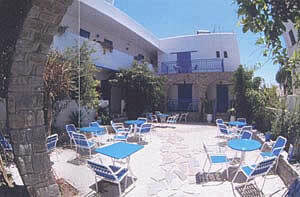 Hotel Grivas is located on a quiet side street, 200 meters from the Parikia Port. Free port transfers are available 24 hours a day, and pets are allowed by request. 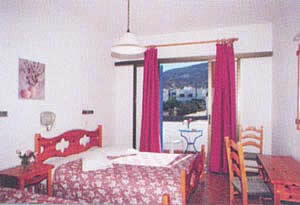 All rooms at the Grivas Hotel feature private balconies. They are well appointed with TV, air conditioning and private bathrooms. 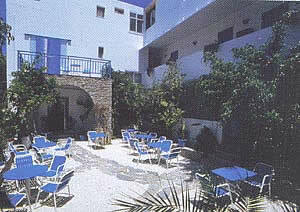 The Hotel Grivas is just 100 metres from Livadia Beach.